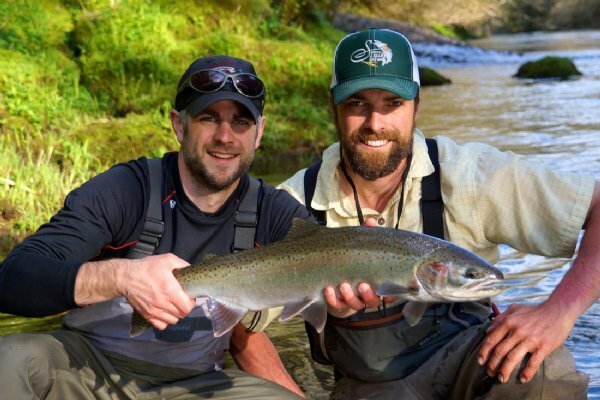 Todd Harris owner of Harris Anglers, is a long time steelhead & trout junkie. Passionate about sharing his vast experience in Spey fishing for steelhead, salmon and trout with the anglers he guides on the Deschutes. He has honed his patient teaching style over an impressive guide career. His tenure began 15 years ago on Alaska’s Kenai River where he and Tom Larimer became great friends. He spent a four-year tour of duty guiding the Deschutes and has been quietly building a reputation of being one of the best fly fishing guides on the winter steelhead rivers of Oregon’s North Coast. Steelhead fishing runs in Todd’s veins… It was his father's passion, which he thankfully handed down to him. He caught his first steelhead at the age of six and has been obsessed with the chase ever since.